Pine Tree Drive is one of the most picturesque neighborhoods of Miami Beach. This prestigious neighborhood stretches from 23rd to 63rd Street, and is located along the Eastern area of Miami Beach. Pine Tree Drive offers classic Miami Beach waterfront homes, and it is not out of the ordinary to come across homes with six or more bedrooms with lots greater than 10,000 square feet. Pine Tree Drive is a family-friendly, centrally located neighborhood that connects to Greater Miami via I-195/Julia Tuttle Causeway. Take a look at the top 3 Pine Tree Drive Waterfront Homes under $10 million dollars currently on the market. This magnificent updated waterfront Mediterranean Estate located at 5641 Pine Tree Drive, Miami Beach, FL 33140 boasts over 8,400 square feet of luxury. This Miami Beach waterfront home offers exquisite travertine and rich hardwood floors throughout. This waterfront estate features a romantic center courtyard, covered loggias, and a dramatic foyer. This spacious 7 bedroom, 9 baths, home has a private dining room, a custom bar, a family room with a working fireplace, and a chef’s kitchen complete with a private breakfast room and center island. The second floor master suite has 2 baths. Avid boaters will enjoy this home as it has a private dock with a boat lift and 103’ of water frontage. Listed at $9,750,000 this gorgeous Pine Tree Drive Miami Beach waterfront home is a steal as it offers buyers access to the ocean and bay, as well as stunning open views to the Intracoastal water way. This brand new modern masterpiece located at 5191 Pine Tree Drive, Miami Beach, FL 33140 is an incredible three level oasis. This luxurious, modern estate is also a boater’s dream as it offers 70’ of water frontage and a private dock. This gorgeous home on prestigious Pine Tree Drive is filled with natural light and walls of impact glass. This waterfront home offers 6 bedrooms, 6 baths, and 2 half baths. The open floor plan of this Pine Tree Drive estate offers unparalleled quality and finishes. The home grants buyers amazing waterfront views, and a tranquil lush backyard and pool. Listed at $8,975,000 this outstanding waterfront home is perfect for anyone who loves to be outside and entertain, as the home showcases a beautiful 5,000 square foot rooftop sundeck complete with a private elevator. This spectacular Miami Beach waterfront home located at 6115 Pine Tree Drive, Miami Beach, FL 33140 offers extraordinary panoramic views of the Intracoastal water way. This fabulous waterfront home showcases stunning appointments throughout the entire home. The backyard is a true paradise featuring an infinity pool with fountains and cascading waterfalls. This estate is definitely for an avid boater as the home has a private deck, a boat lift, and offers open access to the ocean and bay. This 6 bedroom, 5 baths residence showcases superior construction, as well as many upgrades and architectural details throughout. Buyers can relax on one of the screened balconies or take in the magnificent views from the private roof-top terrace. Listed at $6,400,000 this waterfront home is perfect for anyone seeking completely privacy, as the home is walled and features lush landscaping. 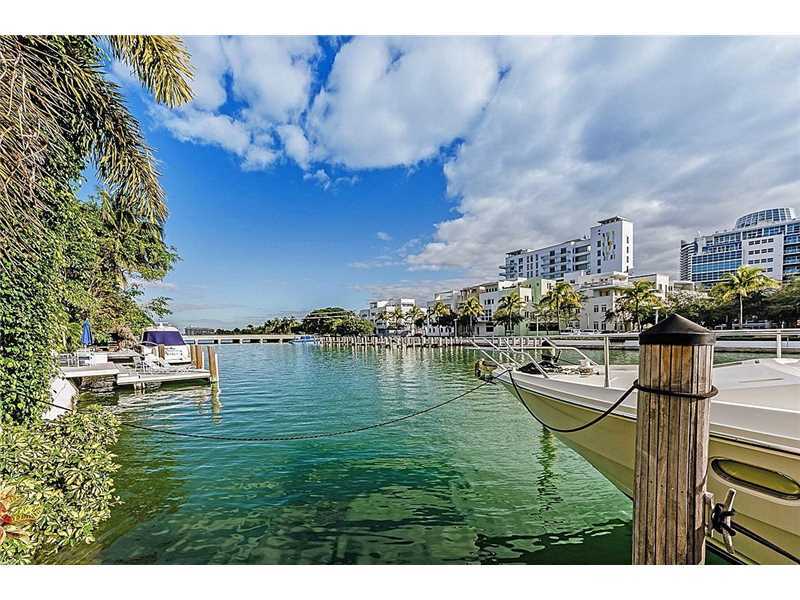 If you are interested in any of these gorgeous Pine Tree Drive Miami Beach waterfront homes under $10 million, contact us at pobiakproperties.com, and we will be glad to help you every step of the way. This entry was posted in Luxury Homes, Miami Beach Luxury Real Estate, Miami Beach Neighborhoods, Miami Beach Real Estate, Miami Beach Waterfront Homes, Miami Beach Waterfront Homes, Miami Beach Waterfront Neighborhoods, Pine Tree Drive and tagged Miami Beach, Miami Beach Waterfront Homes, Pine Tree Drive, Pine Tree Drive Miami Beach, Pine Tree Drive Waterfront Homes, Pobiak Properties on February 17, 2017 by Giancarlo Bobbio.